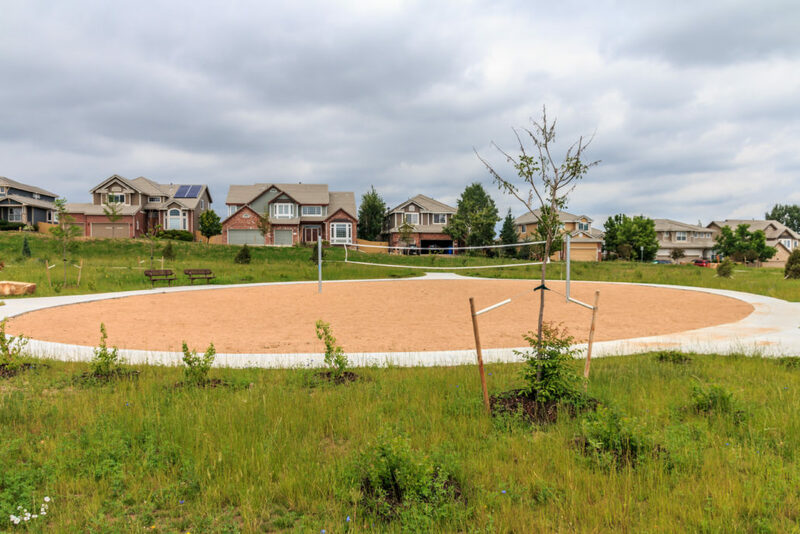 Empty since the 90’s, ready for a neighborhood park! 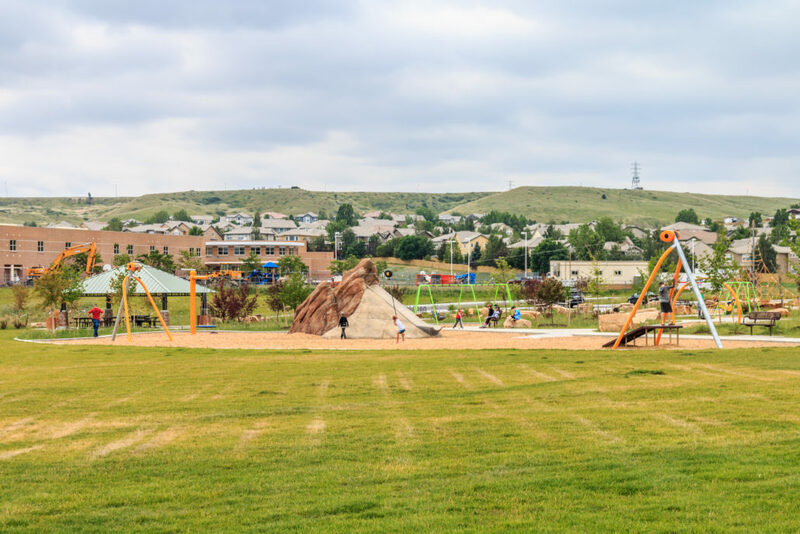 The Town of Superior issued a Request for Bids for the construction of a new park to be located on the former Eldorado School site. 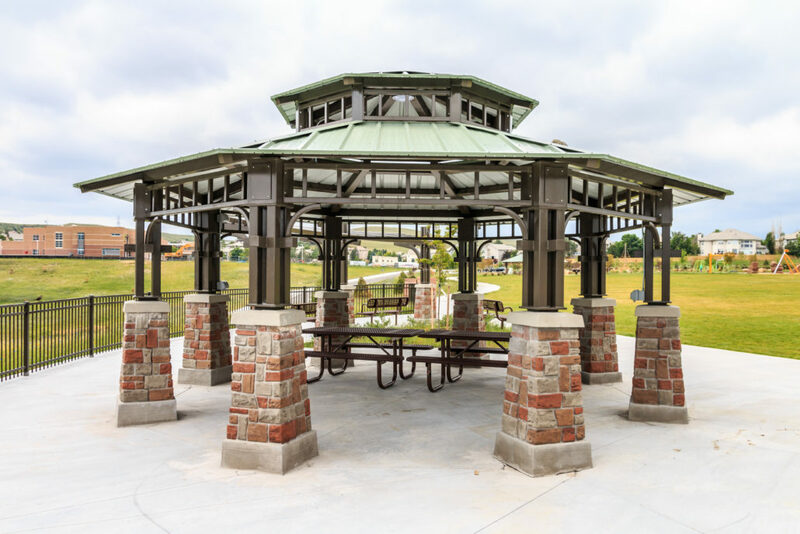 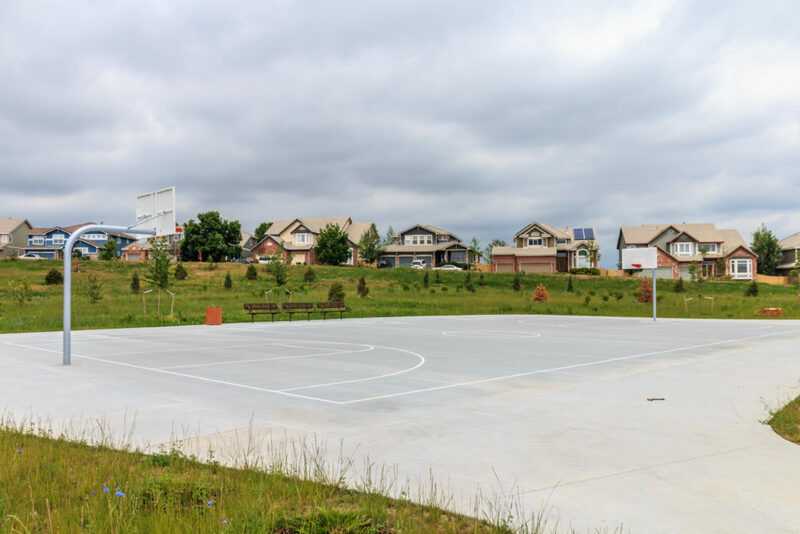 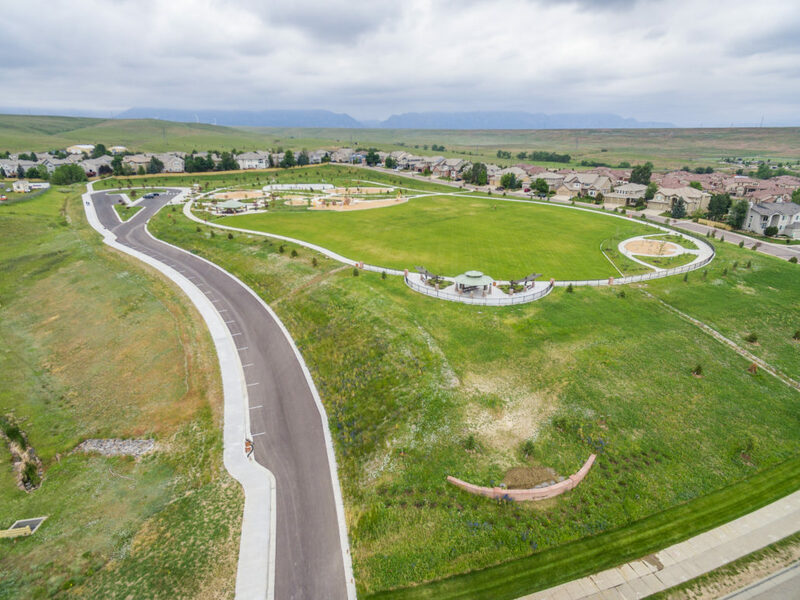 This new neighborhood park includes a pre-fab restroom, shelters, large fitness area, and picnic area with a group grill and tables. 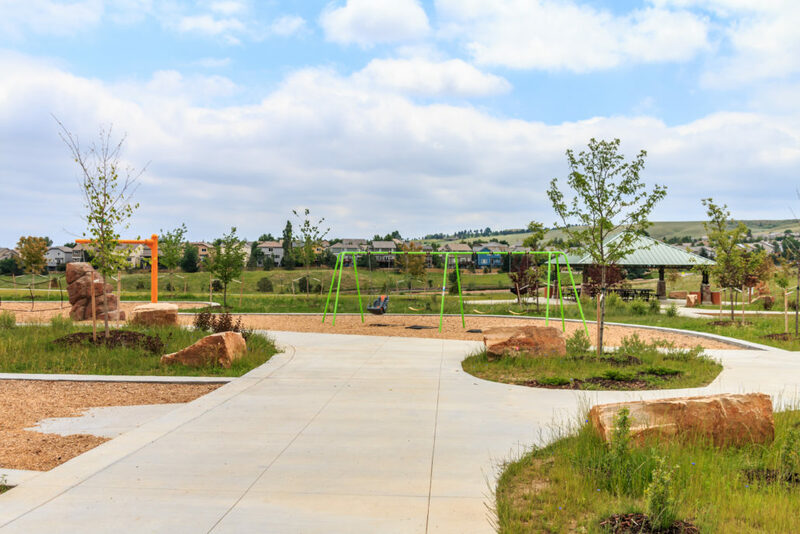 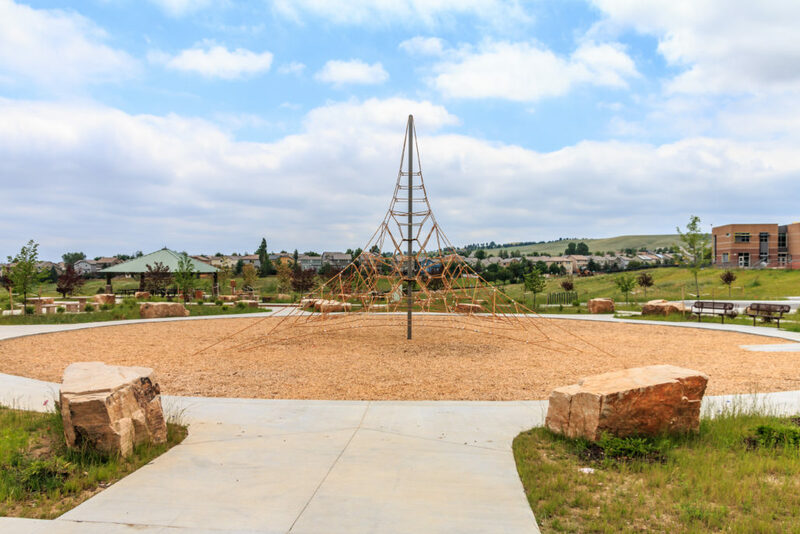 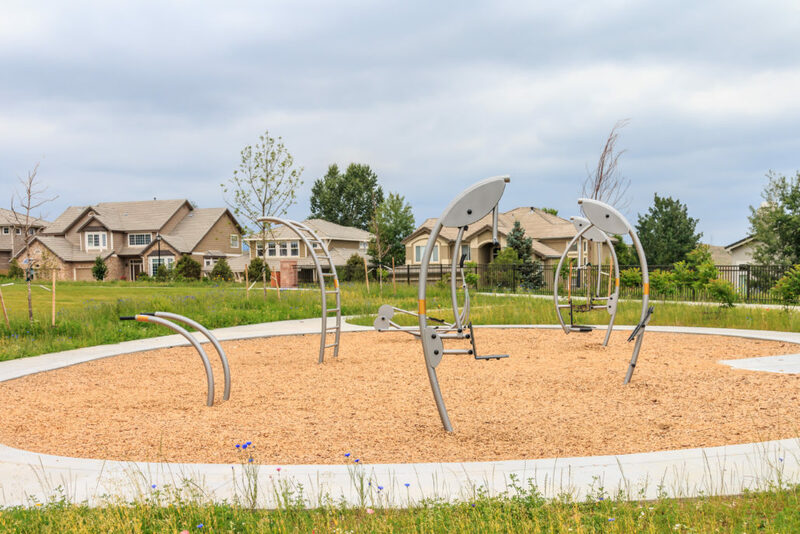 The playground features a net climber, zip line, rock climbing sculpture with embankment slide, typical and freestyle swing sets, basketball and volleyball courts, and slack lines. 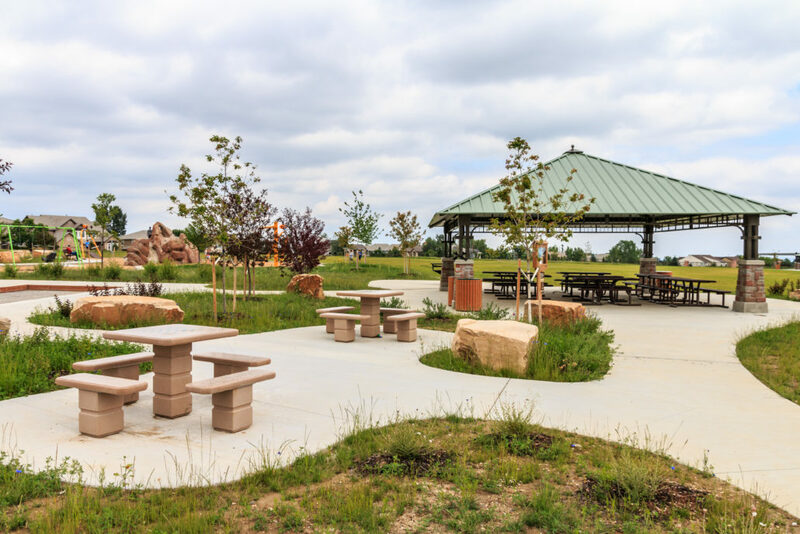 A scenic overlook provides a view from a shelter flanked by arbors which provide shade for the benches and an ornamental iron fence provides safety. 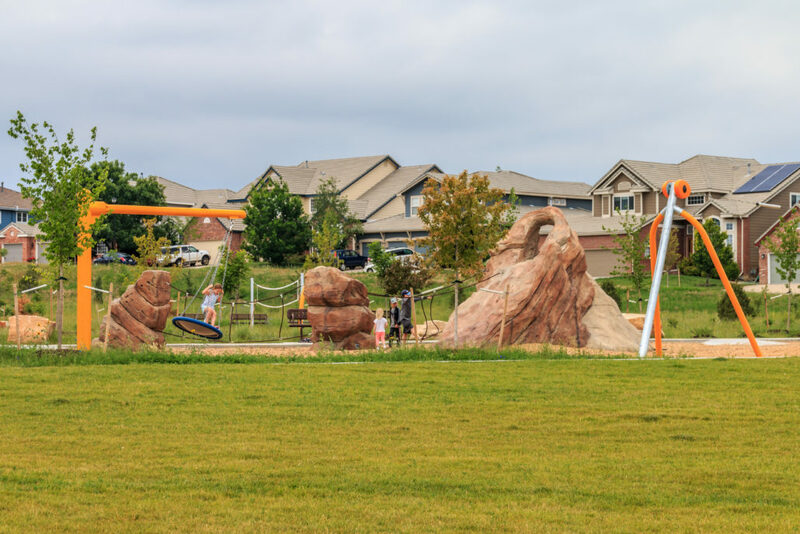 The park entrance is easily seen from Indiana St with a custom, curved Lyons Red Sandstone faced primary sign. 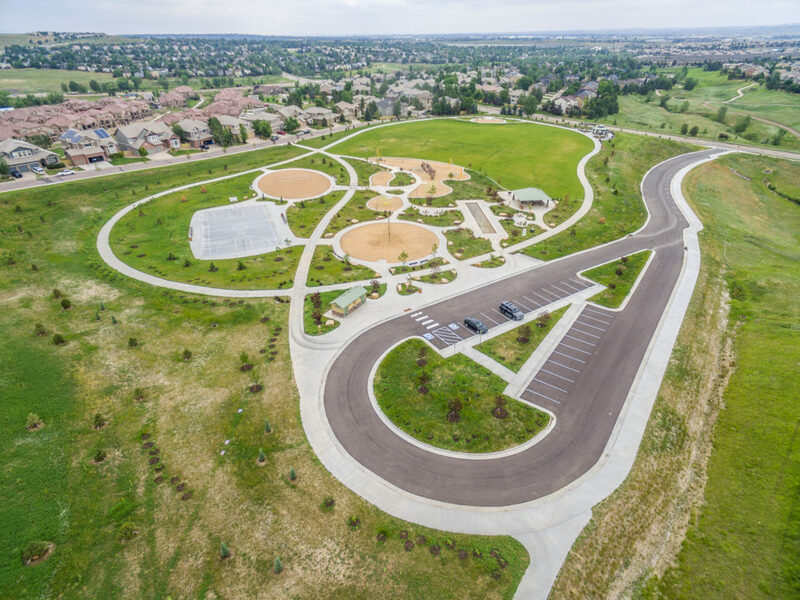 The parking lot allow access and sufficient parking with new sidewalks surrounded by landscaping and irrigation. 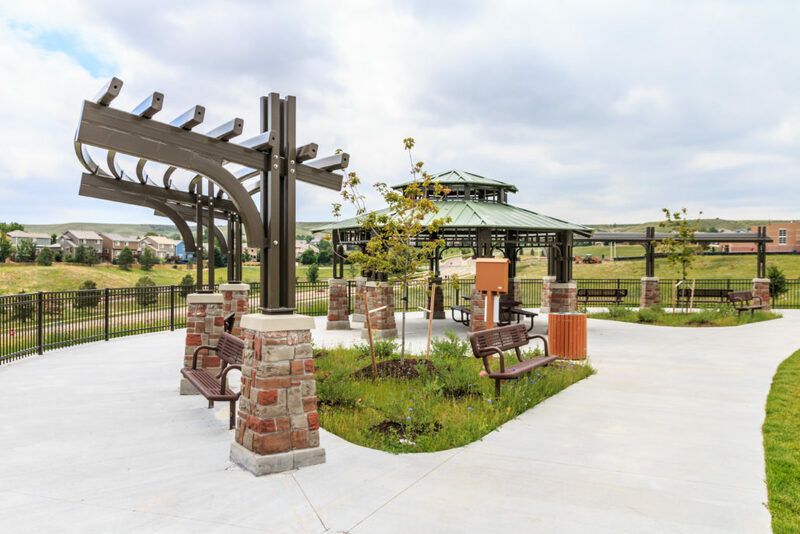 Architect – Design Concepts | Engineer – JVA, Inc.